Perhaps you noticed a theme during yesterday’s presentation of the Ford Performance triumvirate of the Shelby GT350R, F-150 Raptor, and Ford GT Supercar. Well, apart from the themes of all three vehicles being insanely powerful, incredibly exciting, and really, really, really, ridiculously good-looking. The folks at Mustang6g got the scoop on Liquid Blue from none other than Steve Ling, Ford North America Car Marketing Manager. 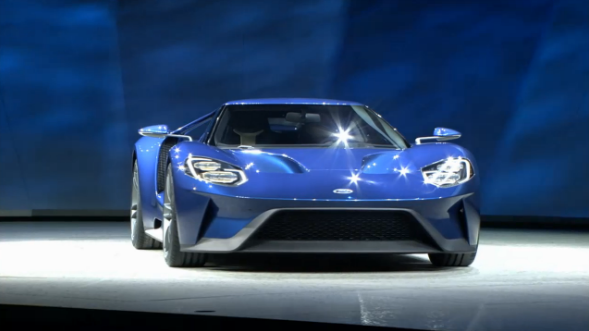 Ling confirmed the name and simultaneously broke a million hearts in two by saying that Liquid Blue is not a color that is being applied to Ford’s production vehicles. …we think it’s fair to assume that Ford will be considering making Liquid Blue a production color quite seriously. So, yeah, you do that, Ford. Because we need it. Hey, Internet. Do we need Liquid Blue?